to help treat their patients. We interpret the clinical research. You apply it at the point of care. Featuring our 25 year story! 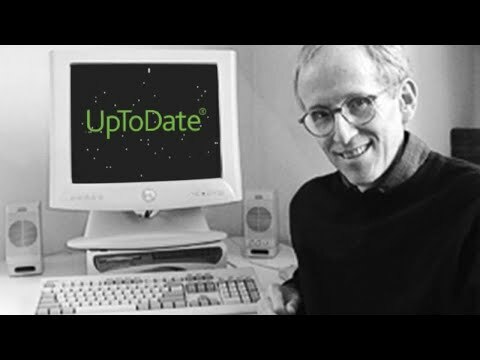 UpToDate® is continuously updated based on the latest medical research to bring medical professionals evidence-based recommendations in diagnosis and patient treatment. View UpToDate sample topics spanning 25 specialties. *Prices are subject to change without notice. Taxes are additional. Access to UpToDate Mobile Apps requires an individual subscription. A subscription allows installation on two devices. For current information on supported devices, please visit www.uptodate.com/mobile. **UpToDate MobileComplete™ may not be available in all countries. For individual subscribers, there is a fee associated with upgrading your subscription to include MobileComplete. Wi-Fi access is required for initial download and full content updates.